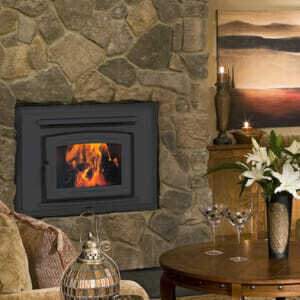 Implement a Timeless Heat Source with A Wood Burning Fireplace. Warming nippy fingers and toes next to a radiant wood fireplace has been the classic way to stay warm for many centuries before us and many centuries to come. Families and friends have long congregated together alongside the hearth during the brisk winters, making the fireplace a glowing centerpiece in the home. You too can implement the traditions of our ancestors behind the elegantly crafted doors of a wood-burning fireplace. 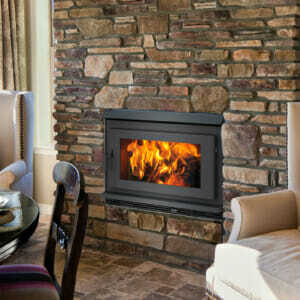 Feature-Laden Wood Burning Fireplaces Make Your Life Easier. Wood may be the timeless heat source, but not without its kinks. Drafty chimneys, shoveling ashes, and rooms too toasty for comfort are a thing of the past. Wood burning fireplace technology has taken the classic heat source and given it features that are designed for the modern homeowner. Tightly sealed glass doors, centralized heating capabilities, and ash removal systems can easily fulfill our modern needs. 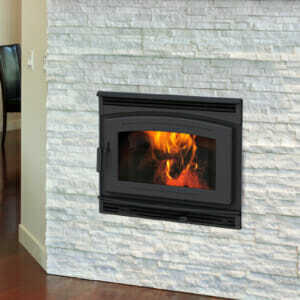 Create an Integrated Design with a Wood Burning Fireplace. One of the benefits of installing a wood-burning fireplace is how they can be smoothly incorporated into your home. Custom finishes, mantels, stone and tile allow the homeowner to craft a look that flows with the architecture of the home. Adding a wood-burning fireplace to your building plans creates a custom appearance and increases property value in comparison with some other hearth options. 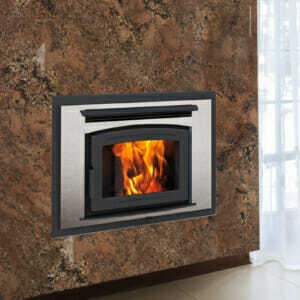 Experts Provide Guidance to The Right Wood Heat Solution. 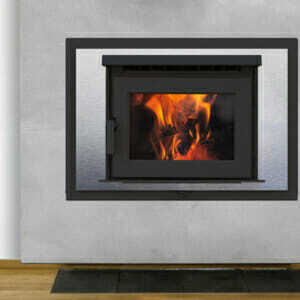 Are you set on wood heat but not sure if a wood-burning fireplace is suited for your needs? Explore your options with a freestanding wood stove, wood fireplace insert, or outdoor boiler wood heating system. Our experts provide on-site evaluations of your space to determine the right fit and installation plan to meet your needs. Explore our top of the line wood burning fireplaces crafted by the leading manufacturers: RSF, Pacific Energy, and Quadra-Fire. 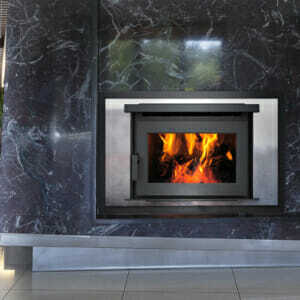 Contact Us Today For A Free Wood Fireplace Estimate!